This web page contains accommodation facilities on the Futuroscope site and hotels in downtown Poitiers. We draw your attention that travel from the conference venue to these hotels is in your charge. Please refer to the Vitalis website to prepare your trip. Count 30 minutes for the trip from the Futuscope site to downtown Poitiers. The Alteora hotel is planned to be the official hotel of RTNS 2018 conference. The local organization committee has obtained special rates for the hotel rooms. 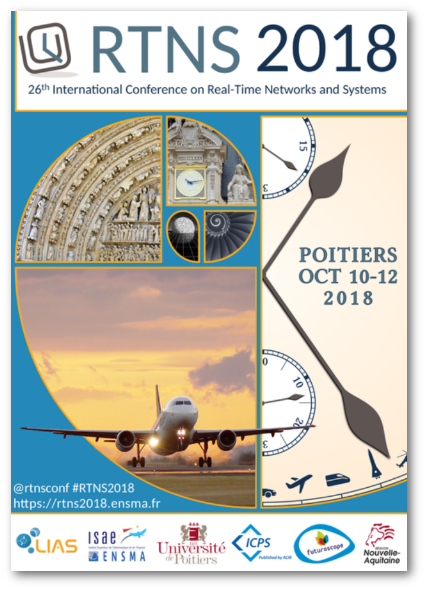 The Alteora hotel offers special rates (i.e: 54 EUR for a single room with included breakfast) for RTNS 2018 conference participants, which are guaranteed until September 12, but subject to availability.